People say to me: “Oh, it’s really unfair. Your dad got you into television.” Yes, he did. But not by ringing up (former BBC2 controller) Jane Root and saying he wanted to do a programme with his son; he would have been laughed at. My mother was a Canadian Broadcasting Corporation correspondent and Jon (Snow, Peter’s cousin) was on telly too, but my rebellion was not wanting to work in television. When someone in BBC development asked if I wanted to do a programme with my dad, he initially thought it was a really bad idea. The idea then came up of doing the 60th anniversary of the battle of El Alamein in 2002. Going to Egypt together and doing a military history programme sounded amazing. I spent the whole summer telling him what we should be saying, which looking back is ridiculous, but that’s the arrogance of youth. The key thing was just to watch, and I was watching someone who is one of the best communicators in television. I don’t think there are many people who can break down and explain a complicated idea better than my dad. He genuinely wanted me to get a proper job, but other stuff was commissioned off the back of the programme. Although people say I’m following in my dad’s footsteps I’m not really because dad was a staff journalist with a desk and a pension. The idea of being a freelance to him is quite unusual. 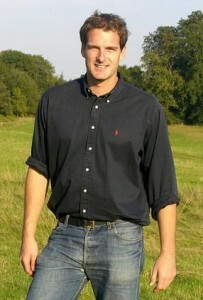 Dan Snow is a historian and broadcaster and presents a slot on BBC1’s The One Show. Peter Snow presented Newsnight for 18 years, the BBC’s election coverage and Tomorrow’s World.